The Yucatan Peninsula in the southeast of Mexico has become the country’s primary tourist region, welcoming visitors from across the world to its stunning tropical beaches, scorching hot weather and breathtaking archaeological monuments. However, while the region has plenty to offer holidaymakers, it can sometimes get overcrowded with visitors – not least the hordes of young Americans celebrating their spring break in increasingly decadent ways. Whereas Cancun and nearby Playa del Carmen are brimming with luxury resorts, internationally recognised chain shops and beaches packed with tourists, they have in some ways lost parts of their traditional Mexican cultures. Indeed, it could be said that there is little to distinguish them from many other parts of the Caribbean. By contrast, however, the island of Cozumel offers luxurious, high-end accommodation within a local, authentic Mexican community. Just a short ferry ride from Playa del Carmen, Cozumel has everything a visitor could wish for from a trip to the Yucatan, but without the huge numbers of other tourists in the better-known spots. Particularly known for its diving, snorkelling and small beach resorts, Cozumel’s economy is largely dependent on tourism. The stunning coral reefs surrounding the island make it a popular destination for tourists looking for more than just sunbathing, while inland there are a number of Mayan ruins for visitors to explore. 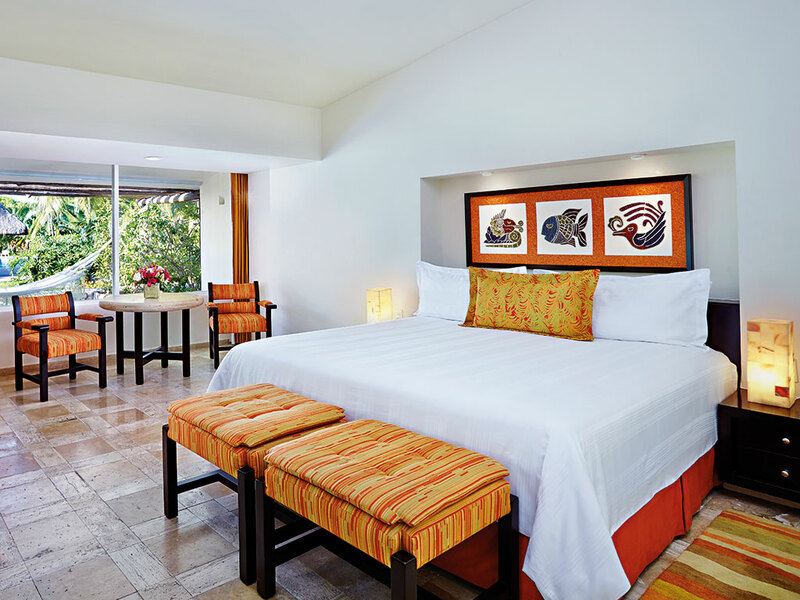 For places to stay on Cozumel, the most luxurious option is the InterContinental Presidente Cozumel Resort and Spa: the secluded hotel could not be in a more ideal location, found just outside the main town and harbour of San Miguel de Cozumel. Tucked away on its own private white sand beach, the InterContinental Presidente offers immediate access to snorkelling and scuba-diving spots on the island’s beautiful coral reefs. With over 220 guest rooms and 37 luxury suites, the hotel can cater for many people while offering either ocean or pool views from all of its rooms. It is an idyllic place for visitors to enjoy the natural delights of the tropical landscape, with easy access to the rest of the island. It also has two pools and three private beaches for guests to enjoy, as well as two bars. Aside from the beach, the hotel has plenty of other activities to sample. Its own extensive spa has a full menu of relaxation services, while more active types can play tennis on the two illuminated courts next door. There are also four restaurants that offer a wide range of foods: El Caribeño is situated on the oceanfront, offering spectacular views and serving both regional Mexican and international cuisine. During the day there is the Bar & Grill Caña Brava, which is another more casual beachside restaurant that serves Mexican snacks and light lunches. The Napa Grill Steak & Seafood restaurant provides stunning views of the bay, while – for high-end dining – the Alfredo di Roma offers some of the best food on the island. A gourmet restaurant that combines northern Italian cuisine with the fresh seafood of the region, the restaurant also has the largest wine cellar in Cozumel. However, it is not just holidaymakers that the InterContinental Presidente caters for: the hotel accommodates groups and those on work retreats, with companies frequently taking their employees for gatherings. There are also industry conferences hosted there. 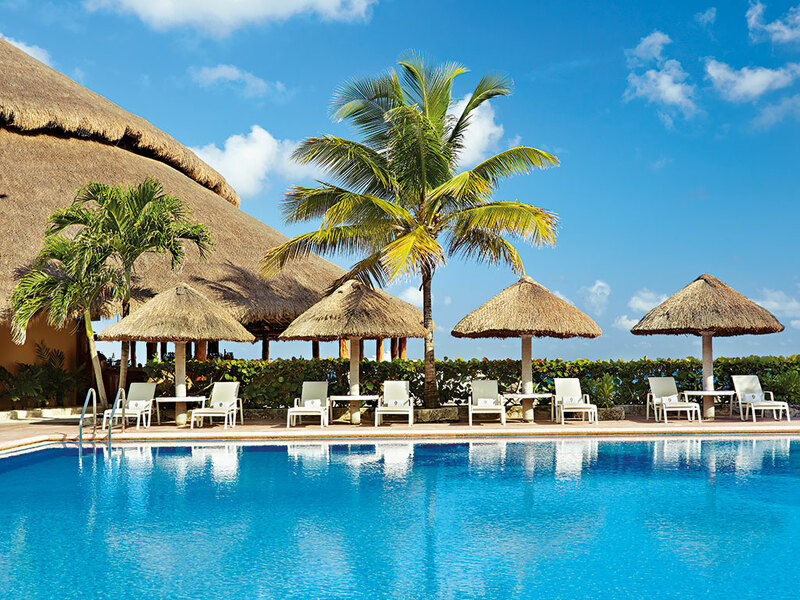 With the Yucatan Peninsula growing year by year as a hotbed of tourism, the InterContinental Presidente Cozumel is an ideal destination for visitors wishing to sample everything the region has to offer from within a secluded, relaxed and calm environment.